As my kids grow and mature, it is a main priority of mine that they grow compassion in their hearts. In a world where words are thrown without caution, I want them to have eyes that are open to the suffering of others. 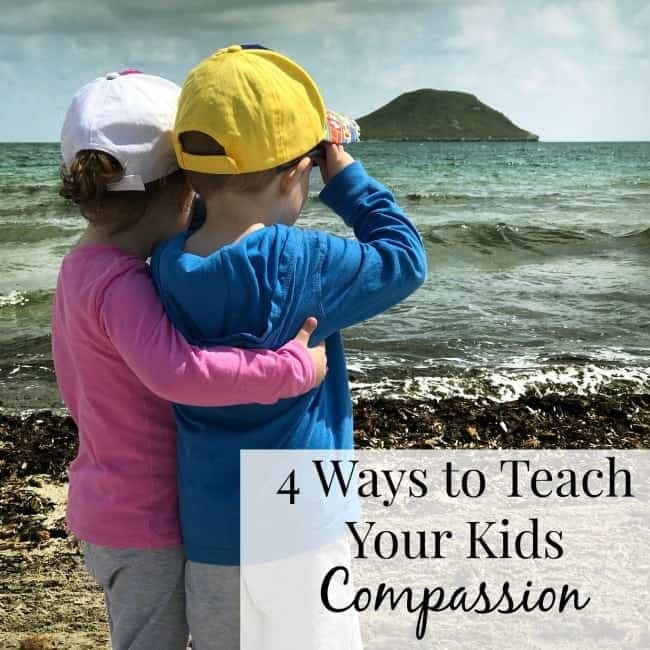 While it may seem like a large task, teaching our kids to have compassion is really more basic that we think. Just as with any other character trait, start with conversation. Ask your child if they know what compassion means. Then start talking about what it means to show compassion. Share examples and even role play not showing compassion and showing compassion. After you have the conversation, look for your kids showing compassion to others. Point how how they are being compassionate and encourage them in that action. If they are struggling, pull them aside and talk about it. Sometimes simply asking, “What could we do differently next time?” can be a huge help. 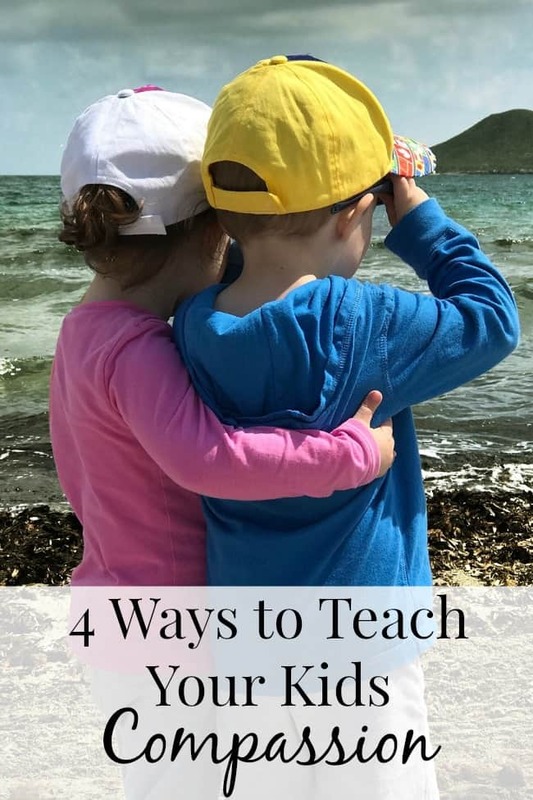 Much like teaching gratitude, one of the greatest ways you can teach your child to have compassion, is to lead by example. Your kids are watching how you interact with the strangers at Walmart, the frustrating neighbor, and everyone else. Our kids are learning how to interact with the world around them by observing how we act. Take a close look at your own life and see if you need to make some changes. Kids are like sponges and are absorbing new information every day. Media pours into our kids through television, tablets, and phones. While there are a lot of great television shows for kids, there are also some to be leary of. As we focus on building compassion into our kids, we need to pay attention to what they are consuming. Is it a show full of name calling and bullying? Or is it a show that encourages kindness? We cannot control everything, but we can be careful in our own homes. When they do come home from school and share about an instance with a friend being mean or name calling, we can openly talk about the situation. Start teaching your kids to have compassion by involving them in service opportunities. If they are old enough to understand, you could ask them for ideas. Otherwise, lemonade stands and giving the proceeds to a mission or donating toys to those who do not have any are great starting options. At the beginning of summer, we went through all of our books to give some to a local startup library in a struggling part of town. It was amazing to see my kids sift through their books and excitedly put together a pile for others. Your service project does not have to be anything grand. Many times, simple works best. As your kids learn to have compassion, other character traits will bloom out of this. Compassionate people are kind, love greatly, and live with generous hearts. We can change the world one person at a time by building compassion into the lives of others. Do you have any tips for teaching kids compassion? Share in the comments below. My toddle is struggling, trying to stay positive! I feel you! I have been there! Stay strong momma!